This post plainly describes one method of catching the Ultra Beast known as Celesteela in Pokemon Moon Version. What you need to catch Celesteela: Beast Balls from Aether Paradise, and healing items like Hyper Potions. The main item you will need is a Beast Ball. Complete the main story, including a battle against the Elite Four and Champion. Go to the north coast of Akala Island, and enter the hotel on Route 8, which will trigger the Ultra Beast Sidequest. Fly or ride the Ferry (the ferry is a far slower travel method around Alola) to the Aether Paradise. Beast Balls are given as a gift in the basement laboratories. While you can catch Ultra Beasts in ordinary manufactured PokeBalls, the Beast Ball has a far higher catch rate, which will make capturing all the strange and enigmatic Ultra Beasts easier, especially if you are aiming to catch one with a specific nature. Healing items for your Pokemon team are also essential. I recommend Full Restores. Hyper Potions will do if you are low on PokeDollars. A way to raise some money for items is to send your Pokemon into the caves in the PokePelago to find rare treasure. You can also battle the elite four repeatedly. With items accounted for, you will need to prepare your team. Pokemon that will help you catch Celesteela: A Pokemon with high attack power and False Swipe, and a Pokemon that knows a status changing move like Sleep Powder or Thunder Wave. Bringing Pokemon who can content with a steel type is essential. Steel type are all about physical defensive. A Pokemon with false swipe and a high attack power speeds everything along – Scyther or Scizor are good choices. Using False Swipe will always leave a Pokemon with 1 HP remaining. 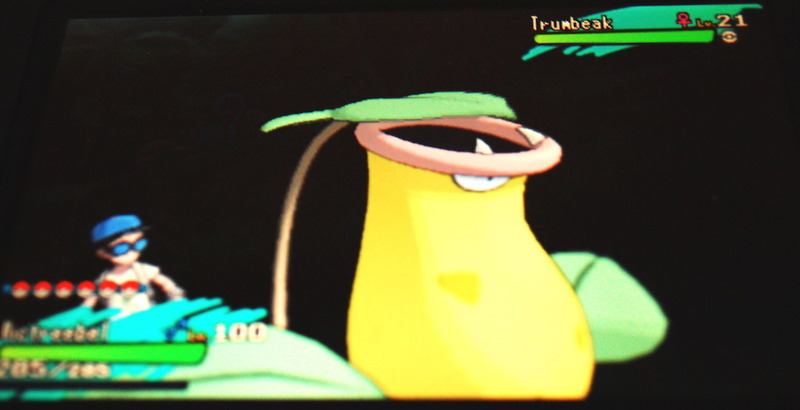 A Pokemon who can inflict status conditions helps stop Celesteela from demolishing your team. Sleep and paralysis strategies will both help you. Alolan Raichu using Thunderwave, or a grass type using sleep powder or spore traps Celesteela, reducing its chances to attack. As an added strategy, I added a Pokemon with focus energy and baton pass to my team. A ghost and flying type Pokemon first introduced in Pokemon Diamond and Pearl called Drifblim for example. One of these Pokemon arrived on my PokePellago’s Isle Abeens. Drifblim used focus energy and baton pass to send the boost to Scyther, which helped to add an extra attack bonus when using False Swipe. You can use a Pokemon with the ability Synchronise to influence the nature of wild Pokemon. An Abra with a modest nature and Synchronise will increase the chance of finding wild Pokemon with a modest nature by 50 per cent. Be aware that if your Pokemon with synchronise is at a low level, escaping from wild battles might be harder. If your Pokemon with synchronise is fainted, however, it’s ability will still work. You can also equip the Pokemon with a Smoke Ball item to ensure an escape from battle if you don’t want to leave a Pokemon fainted. Where to find Celesteela: Malie Gardens, or Haina Desert on Ula’Ula Island. The Ultra Beast lurks around Ula’Ula island – The largest of the four Alolan Islands. It can be found either in the Haina Desert, or in Malie Garden. Two Celesteela are available to capture. I decided to search for Celesteela in Malie Gardens, since they were close to the Malie City Pokemon Centre, just in case anything went wrong. 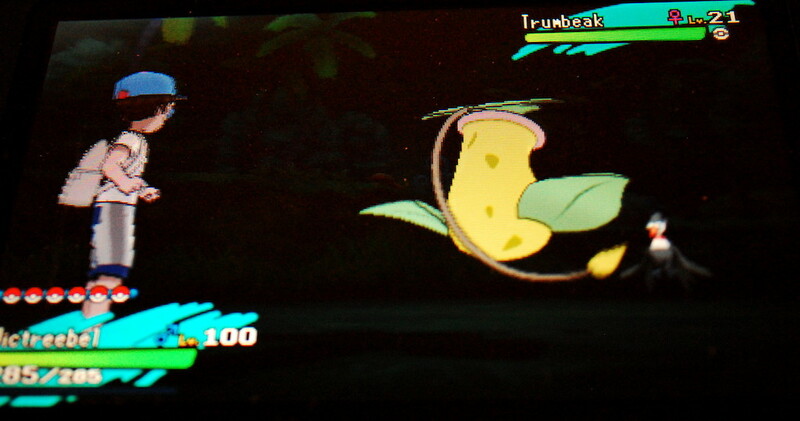 Celesteela can be found in any patch of grass in the gardens, and appears on level 65. My team had Scyther (lv67) and Drifblim (lv56) in the battle. My Abra with Synchronise was a far lower level, and I switched out Abra quickly. 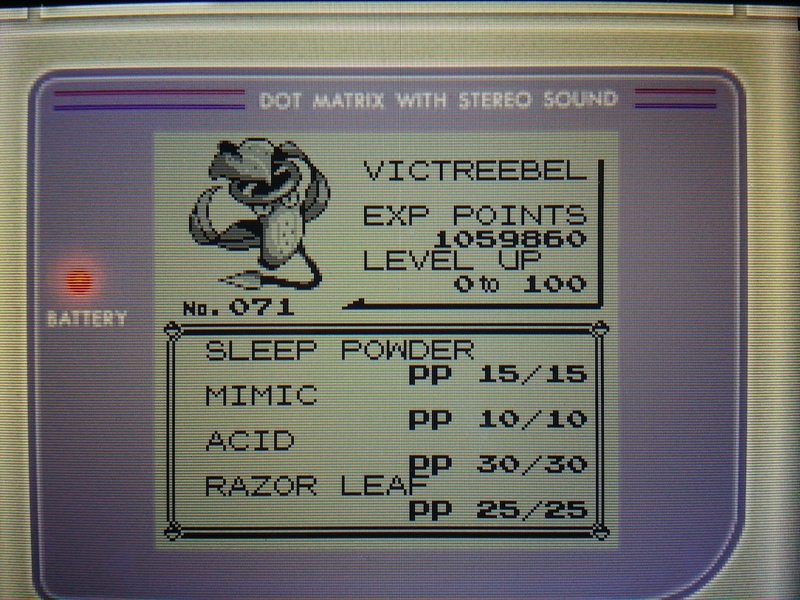 I used a Victreebel I had transferred from Pokemon Red version to put Celesteela to sleep with Sleep Powder. After about five to seven turns, Scyther weakened Celesteela, lowering its HP. I then caught the Ultra Beast in a beast ball. You can find more games related content here, and you can follow me, Joe, on twitter @thewallflyer. After writing a post on Victreebel’s Pokedex entry, I was inspired to sculpt my own Victreebel miniature. This post is a recap of the sanding and painting, with some basic ‘how-to’ information in the last few paragraphs on priming surfaces and painting. I’m using a Super Sculpey product for this project. I’m also using Masters Series Paints, and some Norton brand, wet and dry sandpaper I found at a local hardware store in 600, 800, and 1000 grade roughness. real challenges was trying to be patient, and work slowly. I did not succeed in having patience this time. I baked the clay without taking time to smooth over the surface. It emerged from the over perfectly baked, but also a bit lumpy, rough, and dotted with finger marks. Using a plastic container (which used to hold butter) as a water dish, I soaked the miniature and sandpaper in water. Then, I gently sanded Victreebel, turning the miniature back and forth under the sandpaper. I moved upward through the sandpaper numbers, from harder to softer – from 600 through to 1000 – until the surface lost its rough texture, and the finger marks faded out. For painting Super Sculpey, an undercoat will help, after sanding. Layering washes of colour will build up a solid coat, and reduce brush strokes. Super Sculpey needs an undercoat with miniature paints, which I discovered. I specifically used Master Series Paints. Priming the surface with a brush on primer produced a more vibrant and full colour, even with just a wash layer. Wash layers are a mix of pure paint, and then water, such that the painting a streak of colour on a paper towel leaves a line of colour that slowly changes to a pale, washed out version of the colour. One of the first painting techniques for the miniature is to apply a black wash to the places where two parts of the miniature join, or where two different colours meet. In this case, it is Victreebel’s body and leaves, its mouth and top leaf, and the vine, which I made separately to glue on later. After blocking out the joins with a black wash, and priming, I applied layers of washes to build up a solid coat of paint. Without the primer, it took 4 layers to get close to a solid, lemon yellow colour for Victreebel’s body. For the leaves, I experimented with the primer, and the pale, meadow green colour. The result was a solid colour block in two layers. For more information on the Master Series Paints, their Reaper Mini website has a list available paint by series, and a useful colour identification tool. Just before New Year, I decided to test my photo skills with toy photography of my Jigglypuff amiibo. Searching for some scaled down grass tufts, and a specific rocky garden wall that could resemble Mount Moon, was not too difficult. Not having a professional set, or the facts on how to scale down for toy photograph, I’m unsure of the overall quality. Regardless, I think I’ve captured Jigglypuff’s Kanto habitat. Inspired by Pokemon Sun and Moon’s character arc, and the photography, I thought of a short story and fan fiction set after the main events of Pokemon Sun and Pokemon Moon. If you’re not into fan fiction, that’s okay, please enjoy the photos. For others interested, please read on. Spoilers for the Pokemon Sun and Moon character arcs to follow. 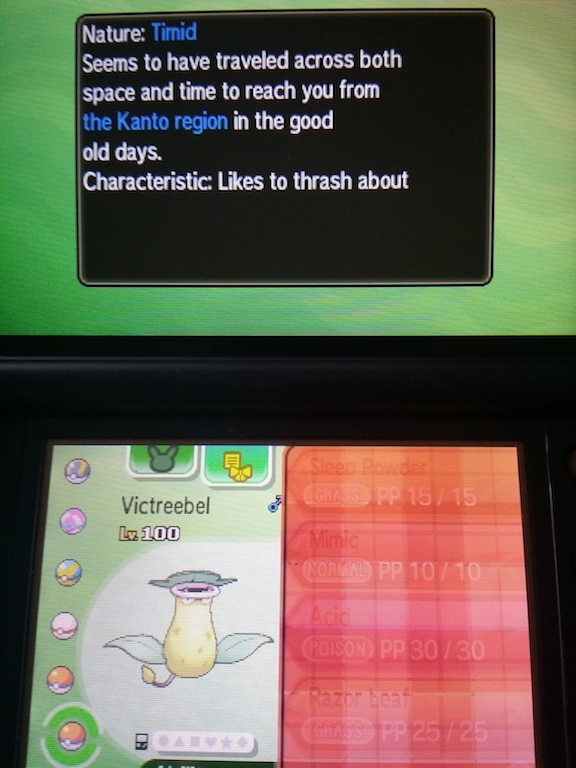 Pokemon News Press – Ume Region. Kanto, Route 3. East of Pewter City. With just 24 hours before the New Year, and only 8 hours until my plane back home was set to depart, I made one last attempt at venturing out to snap a photo of the round Pokemon Jigglypuff. Some experts say that this Pokemon resembles a Voltorb viewed from the front. Since we don’t see very many Kanto Pokemon in the Ume Region, aside from Kangaskhan and Cubone, I had to ask my editor. 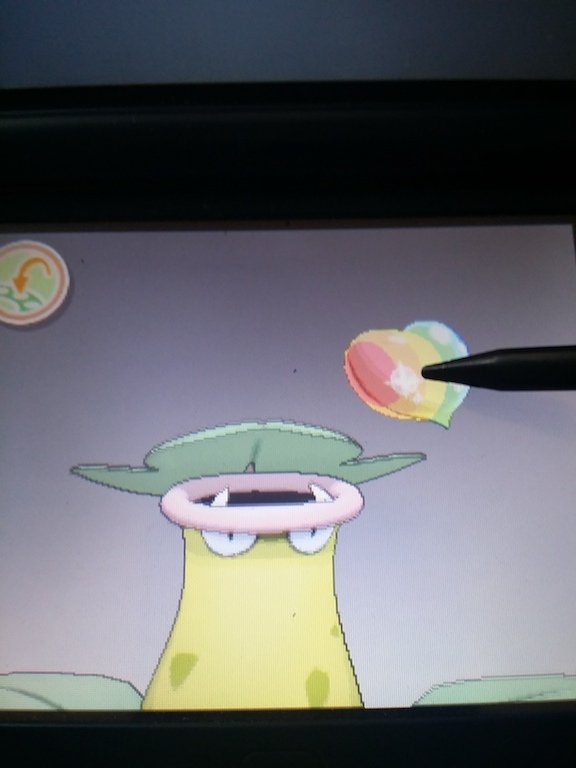 “But, what’s a Voltorb look like again?”. I didn’t ask what a Magnemite was. I had a vague idea of round shapes as a I went out on the hunt. I had climbed up the foothills of Mount Moon when she crossed my path. A confident looking young woman walked by. She was dressed entirely in white, save for a rose coloured backpack that looked expensive, like something that might be for sale in the Kalos Region. It was simple, cut in a rucksack style, but the quality of the fabric was clear. I turned back to my work. I had spotted some Spearow far away from the road, flying away from Mount Moon, which loomed large nearby. The shutter clicked. I snapped several photos, as the little red, brown, and black birds disappeared in the direction of Cerulean city. I heard a voice. Confident. Incredulous. I turned back around, and she was standing there, hands on her hips. I nudged the gallery button, and held up the screen for her to see. She walked over, and looked down at the screen. Nodding, she and stood up again. We caught up over Pokemon common to both our regions. Eventually, we got to talking about Jigglypuff. She sounded so bright and confident. I wondered for a second if she was always this energetic. Eventually, walking further toward the mountain, My neck prickled. We were being watched. I looked up, aiming my camera up at the edge of Mount Moon, just over a small patch of grass. I nudged the shutter. This was my first Jigglypuff photo. And she was gone, just over the ridge. I waited, sitting quietly in the grass. With the sun just starting to turn the day into lazy, gold afternoon, I saw a Jigglypuff. It was bouncing happily through the grass. This was my second photo, something that I could publish at last. Raising a Lilipup or Alolan Meowth with the Pickup ability, and battling and knocking out Pokemon until the Lilipup or Alolan Meowth collects the knot with a 10% chance they will find one item from a possible choice of over 24 items. After I gathered enough Battle points from the Battle Tree and Battle Royal I decided to test out finding a Destiny Knot using Pokemon with the ability Pickup. The resulting shenanigans netted a selection of items, none of them a Destiny Knot. For me, in my copy of Pokemon Moon, the ability Pickup was unreliable and chaotic. I have the data to prove it. I found a lot of useful and some rare items, but the overall results? 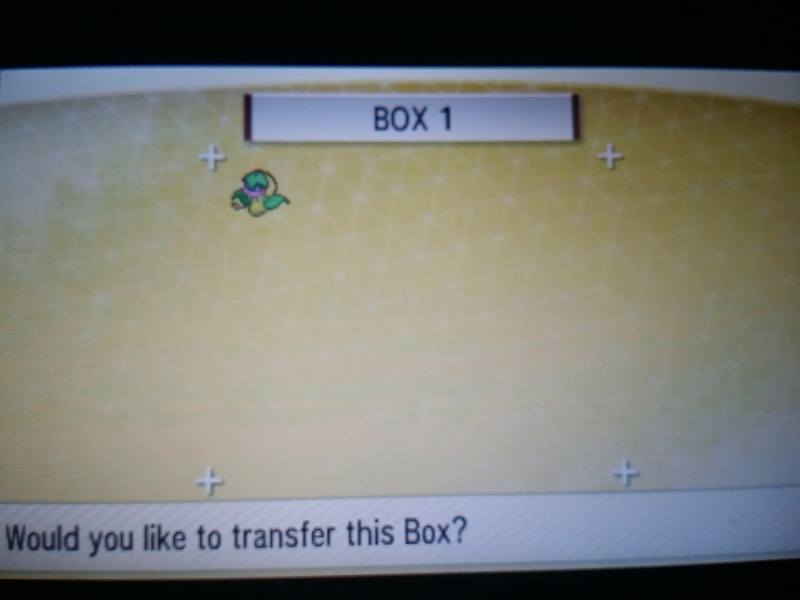 No Destiny Knot emerged from using a team of Pokemon with the ability Pickup. One mistake I made was venturing out with a 5 Pickup Pokemon and a sixth to knock out opponents – this allowed me to pursue other adventures, however, like completing the Pokedex. If you’re a trainer, what method do you prefer?